We believe that you deserve options. By providing the information that you need to make the best decisions about your healthcare, our dentists and team aim to educate and advocate instead of pushing excessive or unnecessary procedures. We are skilled and experienced in advanced general, cosmetic, and restorative dentistry to provide you and your family with confident, healthy, and beautiful smiles. While we take pride in our work, we try to not take ourselves too seriously and continually strive to create a fun and relaxed environment. We know for some people, dentistry can inspire anxiety and even fear, which often prevents patients from seeking the dental care they need. With that in mind, we strive to offer the most comfortable and pain-free dental experience possible. We believe in supporting and giving back to the Downtown Nashville community and helping to maintain our neighborhood as a preferred destination to live and work. We work with several local charities, and are always looking for creative and supportive ways to use our resources to give back to our community. Our practice is specifically structured to accommodate the downtown patient. We understand how very busy people are, so we pay special respect to our patients’ time and schedules while providing exceptional, affordable care. 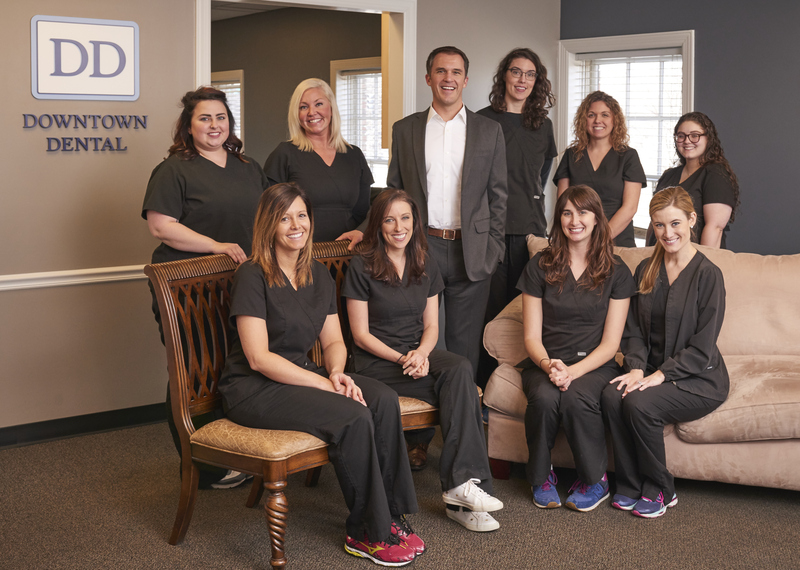 Dr. Clark and the staff at Downtown Dental invite you to join us!